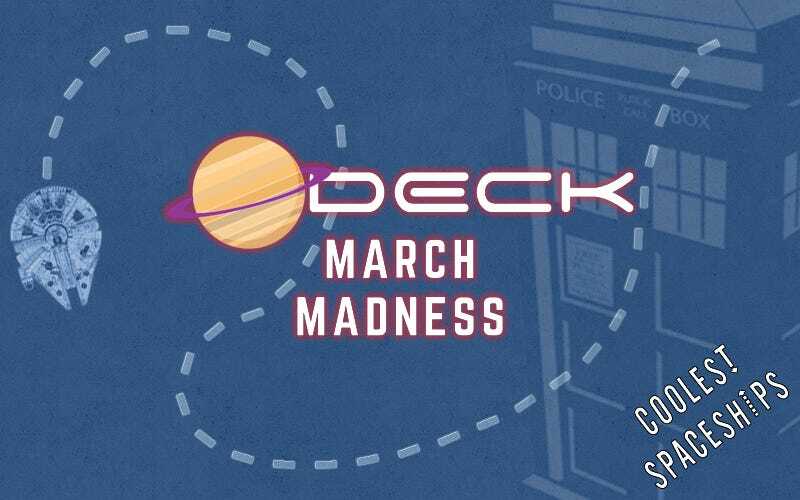 We’ve reached the Championship Round of our March Madness event. Two ships will enter, but only one will emerge as the coolest spaceship of all time. Will it be the TARDIS or the Millennium Falcon? Let’s find out. That last round was a bit of a surprise. When compiling this bracket, I fully expected that it would come down to the Enterprise vs the Millennium Falcon. But the TARDIS refused to let that happen. Sadly, for fans of the Serenity, the same could not be said. The Millennium Falcon triumphed against it quite easily. Now it’s time to decide who will claim the title. The TARDIS or the Millennium Falcon? And that is that. Polls are open till noon tomorrow as usual. A post announcing the winner will go up later this week. Hope everyone enjoyed the March Madness. Happy voting.